Many people have recently begun utilizing enemas to improve their overall health. Over a period of many years, excess waste that hasn’t been eliminated can build up inside of your colon. In fact, anecdotal reports say that as much as 10 pounds of waste may accumulate in your body at one time. That’s a lot of excess baggage you don’t want to be carrying around. When you perform a cleanse with an enema, it helps to remove toxic build-up, which will in turn provide immediate health benefits and relief from certain conditions. There are many different ways to perform an enema, but today we will be focusing on one of the more ‘taboo methods’—the coffee enema. If you are new to the idea of enemas, the use of coffee may shock you. However, it can indeed help detoxify your body and remove the excess waste that could be accumulating within your body. Coffee enemas can prevent the overgrowth of Candida. Overgrowth of the Candida albicans fungus inside your intestines can cause a wide range of unpleasant symptoms, from fatigue, to brain fog, to a weakened immune system. Coffee enemas can help detoxify your liver and bloodstream. A coffee enema is a great way to detoxify your liver and bloodstream. Symptoms such as bloating, stomach aches, and intestinal disturbances can usually be traced back to an overworked liver. Exposure to environmental toxins cannot be avoided, but there are ways to mitigate the potential damages that result from excessive exposure. Detoxes help tremendously with this, as do proper nutrition and regular exercise. Coffee enemas can promote better digestion and regularity. A coffee enema can help to improve the flow of bile. (3) This helps to alkalinize your small intestines, which promotes better overall digestion. When food that you consume is not properly digested, it can generate toxic chemicals within your intestines. These toxins are then absorbed by your liver. Utilizing a coffee enema not only helps your liver with this load, but it also will improve your digestion to make it so your liver doesn’t have to work so hard in the first place. Coffee enemas may help relieve anxiety and provide mental clarity. Coffee is well known for its antioxidant properties. Many people who perform a coffee enema report a feeling of increased wellbeing and mental clarity, which also helps to provide relief for anxiety. The colon and liver are both parasympathetic organs, which have been shown play a role in anxiety disorders (4), meaning the cleanse from the enema helps to promote overall relaxation within your nervous system which helps ease anxiety symptoms. Coffee enemas can help regulate hormones and restore balance to your endocrine system. When you use a coffee enema with the intent of detoxifying your liver, an added benefit is the removal of these “bad” estrogen hormones that get flushed out as well. This helps to maintain proper hormonal balance for women. Hormonal imbalances can also cause a wide range of symptoms such as fatigue, depression, low energy levels, and infertility. Coffee enemas can provide several great benefits for your health, with little to no side effects. Most of the unpleasant side effects can be negated by drinking plenty of fluids and staying properly hydrated. Once you have performed the enema, you expel a multitude of toxins and some water and electrolytes along with it. Is A Coffee Enema Right for You? 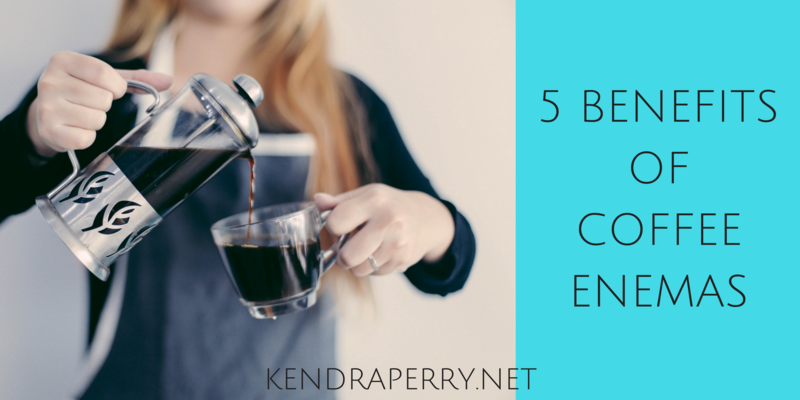 If you’re looking for a natural way to detoxify your body, a coffee enema is a good place to start. Other measures to consider include evaluation of your gut bacteria and incorporating some physical activity in your routine. You don’t have to wait until you exhibit symptoms of illness before performing a coffee enema. Preventive measures are always better than having to find a cure, so be proactive in protecting your health and wellbeing. Your body will thank you. Always check with your doctor if you’re unsure about the effects of a coffee enema on your body, and whether or not it is right for you. 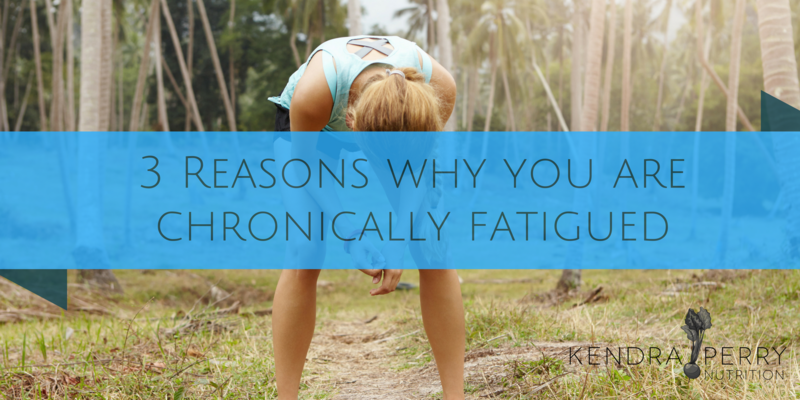 Fatigue is incredibly common. Almost every single one of my clients complains about low energy to some degree. And for others fatigue is chronic. There is a good reason why Starbucks is a multi-billion dollar company; it’s feeding our number one addiction, coffee, which, at least temporarily, alleviates symptoms of fatigue. Fatigue is a very important sign that something is not working right your the body. Anything that interferes with your body’s ability to produce energy can leave you exhausted and worn out. Heavy metals, which are prevalent in society, are very good at disrupting the cell’s ability to generate energy. Within our cells we have tiny organelles called mitochondria. The mitochondria are little powerhouses that basically function as a command center for the cell. Through a series of chemical reactions, including the Kreb’s cycle, the mitochondria generate ATP, the energy molecule that powers your cells and your entire body. Anything that can interfere with mitochondrial function can also limit your body’s ability to make ATP. With a lack of ATP, you feel fatigued, burnout and total drained, no matter what you do. According to WWF, between 1930 and 2000 global production of man-made chemicals increased from 1 million to 400 million tonnes each year. That’s a TON of chemicals. Many of these chemicals include heavy metals. Heavy metals naturally occur in the environmental in small amounts. But with the ever growing industrialized complex, they are being released more regularly into the environment. Heavy metals attacks the mitochondria in two ways; 1) they down regulate or stop ATP production and 2) They negatively affect antioxidant systems. Most people have heard of free radicals. They are considered a villain in the whole health game since they have the ability to break down cells, cause per-mature aging and have been associated with degenerative illness. Damage from free radicals is also known as oxidative stress. The reason why smokers age so quickly has to do with oxidative stress. Each cigarette releases significant amounts of free radicals into the body and overwhelms the antioxidant system. These free radicals destroy cells and speed up the aging process. But looking at free radicals as “bad guys” is short sighted. What many people don’t know is that the mitochondria are a major source of free radical production. We actually need free radicals to have efficient cell function. When the body is healthy, we can generate enough antioxidants which neutralize free radicals and prevent them destroying the mitochondria. Heavy metals not only prevent the proper functioning of mitochondria, which affect energy levels, but they produce significant amounts of oxidative stress which overwhelms the antioxidant system and seriously drains your resources. The health of your mitochondria effectively determine whether you are an active person who can easily exercise or are someone who is sluggish and struggles to move regularly. 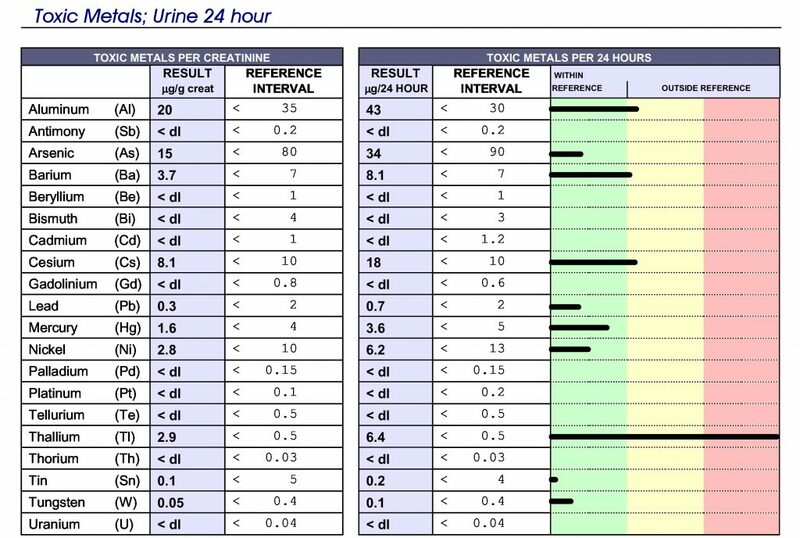 How Do You Know if You Have Heavy Metals? According to many detox experts, we are all full of metals. It is really just a matter of how many we have. In modern life, heavy metal exposure is unavoidable. They are in our air, water, soil, vaccines and virtually everything around us. Additionally, nutrient and mineral deficiencies make it more likely that your body will hold onto toxic metals rather than detox them. Since metals have similar structures to minerals, your body can actually use certain metals instead of the mineral you are deficient in. Let’s use Thallium as an example. Thallium is an extremely toxic metal. In fact, it is ten times more toxic than mercury. Thallium was the metal added to unleaded gasoline after lead was removed. It stops gas from knocking in the engine, allowing a car to last longer. Thallium has similarities to potassium so a deficiency in potassium makes it far more likely that you will hold on to Thallium rather than detox it. 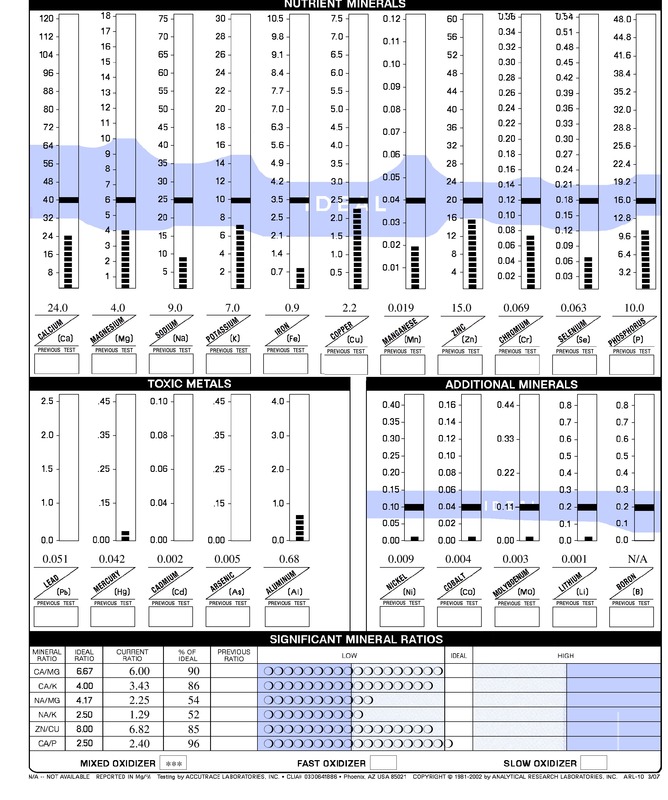 To help you understand, let’s look at my test results. 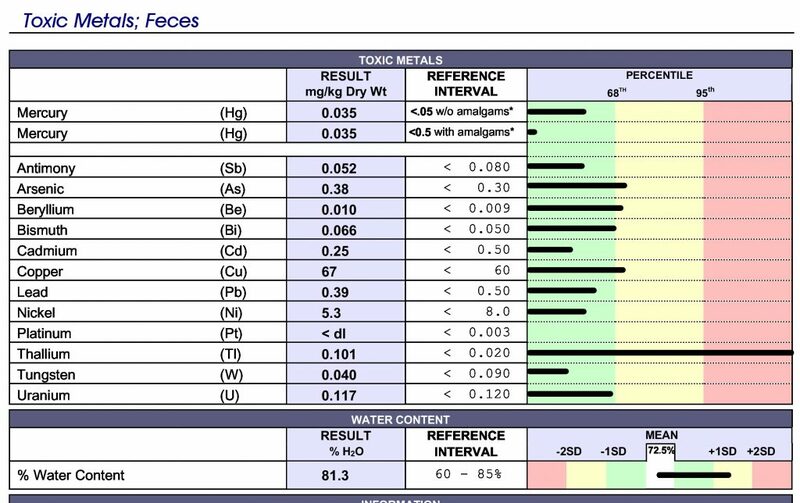 Earlier this year I ran a Hair Mineral Analysis on myself along with a stool and urine metals test. Below is my hair test, as you can see I am very low in potassium. Now look at my urine and stool metals test. See where my Thallium is? It’s totally through the roof. How Do You Detox Metals? This is tricky business. You want to make sure that you have the help of an experienced practitioner. This is not something to take on by yourself. Promise me this! Many practitioners use chelation therapy. While chelation is very effective at removing metals, especially when there has been an acute poisoning, it’s not great at dealing with long term metal exposure. Chelators basically act like a binding agent and pull metals out of the body. They are quickly expelled from the body so they only grab what is quickly available. In order for chelation to be effective, they need to be taken every 4-5 hours over a period of time. The risk of chelation is in the way that it may “stir up” heavy metals but not actually fully remove them from the body. Additionally, if you have been paying attention, I mentioned that sometimes the body uses metals to replace deficient minerals. If you strip the body of metals, then you may leave the body depleted if it was using that metal to perform an important function. 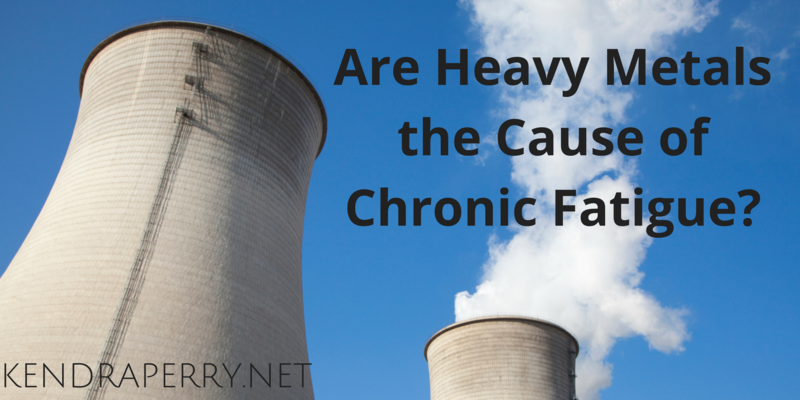 I believe this is a huge reason why chelation therapy often leaves people fatigued and worn out. I have heard many people tell me that their health completely crashed after chelation therapy. An extremely important component of heavy metal detox is re-mineralizing the body. When the body has the proper minerals it needs to perform daily functions, it can easy let go of metals and allow them to be detoxed out of the body. Heavy metal detox is not a race. Slower is better and makes it more likely that you will keep the body balanced while simultaneously improving your health and energy levels. How Do You Re-mineralize the Body? Start with a Hair Mineral Analysis. I believe this is one of the most effective tools for not only detoxing toxic metals but increasing the energy efficiency of the body. It is an inexpensive test that offers significant information. It’s important that you find someone who is experienced in interpreting these panels. HTMA is not straight forward and is easily misinterpreted. If you are interested in detoxing your body from metals, please sign up for a free 30 minute call with me. We can discuss your challenges and see if my program is a fit for you. You can do that here.